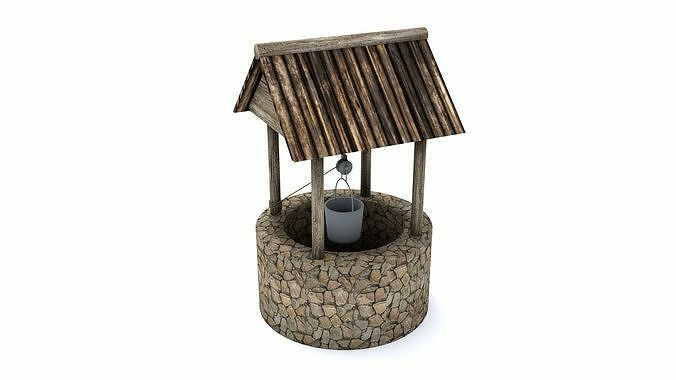 A simple old stone well. Works great in any modern game engines or for rendering purposes. The model is made up of three materials. Model is optimized and low poly. Model consists of a stone exterior, wooden roof ,metal bucket and rope. If you do not wish to use the baked ambient occlusion simply disconnect or delete the ambient occlusion node.